snowmageddon has come and gone here in the south. before that, we were having some days of steady, heavy rains and cold temperatures. this winter has been wet and cold. the picture above was one shot from my second story window looking down on my daughter's gymnastics bar and her sneakers which she decided to leave outside (along with a beach towel) during two days of steady rains. lovely. 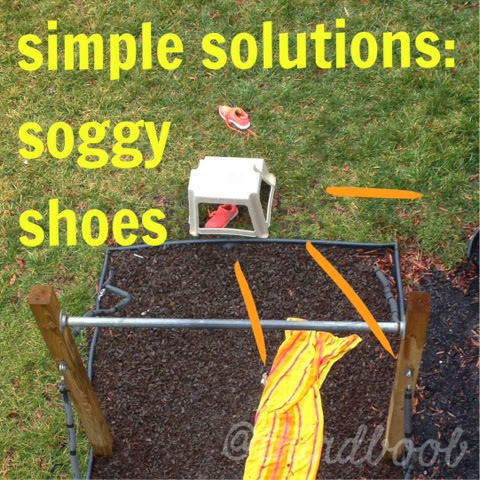 since then, we have had more pairs of water logged shoes than we know what do to with. there isn't possibly enough time to dry them all and the insides always seem to stay damp for days longer than they should. enter a great simple solution! 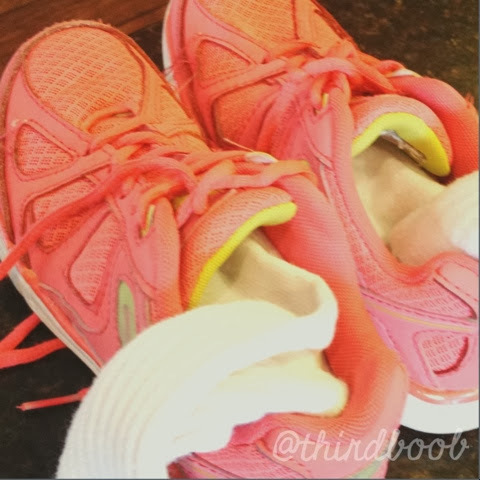 this trick was told to me by another fabulous mother of five and i am loving it. uncooked white rice naturally absorbs water. when you have soggy shoes, place some uncooked white rice into two different socks. i like using socks with longer necks so the rice doesn't spill out. 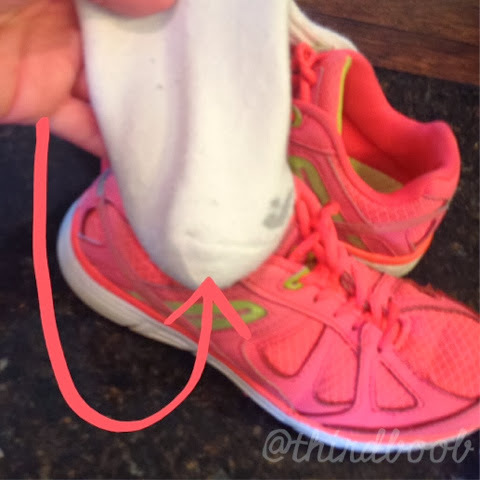 place the rice filled socks into the soggy shoes and leave overnight (or longer if you have the time). the rice will absorb the water and dry out your shoes in a fraction of the normal dry time. 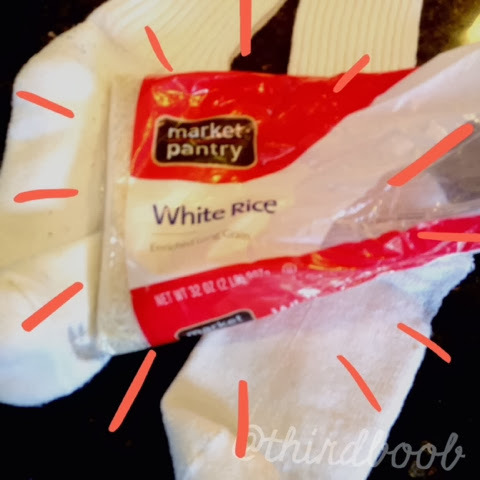 discard the leftover rice (i know this should go without saying but you just never know), throw the socks in the wash and you are ready to go! the sneakers will live to be left out another day.